Conferences and Events is dedicated to working with faculty, staff, students and external organizations to plan and execute events on SCSU's picturesque campus. We assist with university and non-university events. Conveniently located between New York City and Boston, and just minutes away from downtown New Haven, Southern's state-of-the-art facilities provide the perfect setting for your next event. Our technologically advanced spaces include modern classrooms, lecture halls and conference rooms, as well as a multi-purpose ballroom, 1,500 seat theater, athletic facilities and apartment-style guest suites. Our knowledgeable staff will assist you in tailoring your event to your specific needs. 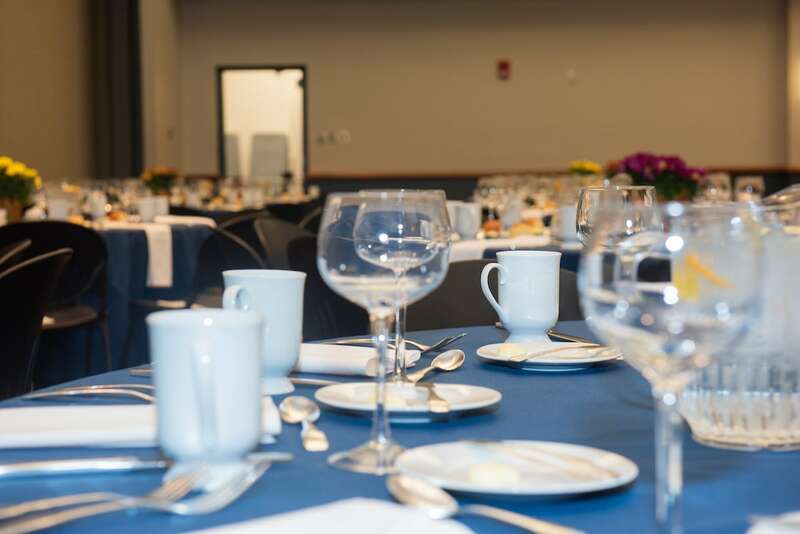 Whether a small group meeting for 10-20 or formal dinner for 350, we provide administrative, logistical, and technological support to help you execute a successful event, from start to finish. We even offer logistical support for summer camps and conferences. Visitors to Southern have easy access to public transportation including Tweed New Haven airport, Bradley International Airport and Union Station, with connections to Metro North and Amtrak. Once on campus, guests enjoy free parking and shuttle service.